What is the value of your training? We think it is of high value! High Quality Trainings, without compromise. This is because the process of your learning and the acquisition of the required expertise takes time, which ensures that nothing is left to chance. What do you mean with “High Quality Trainings”? Training should provide knowledge and skills, with the goals of improving your capability, capacity, productivity and performance. You cannot acquire too many complex topics in too short a time, even if you are an expert or a first hand technician. 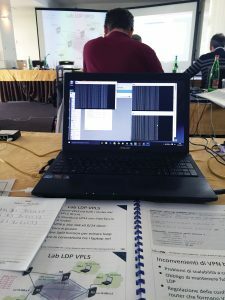 The Training Partners of the Routing & Wireless Academy will only provide you with the training that respects the published Quality Guidelines, durations and methods. How much long are the training classes? The duration of the training classes will depend on the complexity of the topic, the quantity of the contents and the level of knowledge required. We really think there is a big difference between ‘learn’ and ‘to be present’, this is why every single training class made by the Training Partner of the Routing & Wireless Academy must have these minimum lengths: MTCNA 3 days • MTCRE 3 days • MTCINE 3 days • MTCWE 3 days • MTCUME 3 days • MTCTCE 2 days • MTCIPv6 2 days. Do your trainings have any other interesting features? 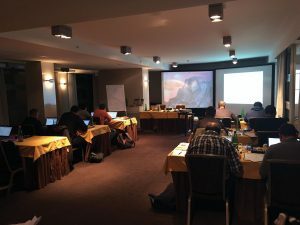 What about the Training Partners of the Routing & Wireless Academy? They are the ones that believe in delivering high quality trainings with passion, devotion, reliability and ethics. Their goal is to educate you as the best technician possible. They also passed all the requirements of the Quality Certification by the Routing & Wireless Academy and they work, every day, to be part of it. What exactly is the Routing & Wireless Academy? The Routing & Wireless Academy is a no-profit organization that was founded by trainers who care about the quality of your education, with no compromise and no tricks.